Welcome to the first physician developed, Nutritional program designed to fully address the root causes of most gastrointestinal (G.I.) conditions! Of course you don't even have to be sick in order to benefit from improving the function of your gut. Many successful athletes will also develop some degree of intestinal permeability or dysbiosis throughout there years of physical stress and require a period of time to focus on healing the gut to better optimize performance and recovery time. Those experiencing chronic gas, bloating, diarrhea, constipation, or other GI symptoms on a regular basis need to be aware that these are not normal symptoms and are usually a sign of underlying gastrointestinal distress. In today’s society, we are taught to ignore such symptoms or at best take a pill of some form to “treat” the symptoms. This approach is much like treating the smoke while completely ignoring the fire. Traditional medicine involves taking a medication to suppress the symptoms, however the bottom line is that while regularly consuming anti-diarrheals, laxatives, antacids, and anti-gas medications may temporarily mask the symptoms; these modern-day "treatments" fail to treat the actual condition and oftentimes actually result in additional health conditions. While symptoms such as chronic bloating, diarrhea, and constipation are all very common symptoms in today's fast-paced world; it is important to understand that these are not normal symptoms to experience on a regular basis and are actually an indication of gastrointestinal inflammation, dysfunction, or even Celiac Disease or other G.I. disorders. Even more profound is the current data showing that the inflammation and G.I. damage caused by Celiac Disease and other G.I. conditions actually increases ones risk of morbidity and mortality if not treated properly. Check out this video with Dr. Tom O'Bryan to learn more about the dangers of untreated inflammation! For true all-encompassing G.I. support, G.I. FIX offers a 5-Step approach that's ideal for promoting optimal gut function and healing. As 80% of your immune system resides within the gastrointestinal tract and approximately 90% of our body's serotonin is produced within a healthy functioning gut, GI health is crucial for overall health and well-being. In most cases, the skin, brain, heart, lungs, thyroid, body composition, and musculoskeletal function also improve by reducing inflammation, improving digestion, and healing the gut! Phase I of the G.I. 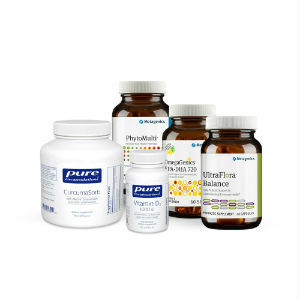 FIX system addresses the underlying gastrointestinal issues by Removing the offending substance(s) from the diet. 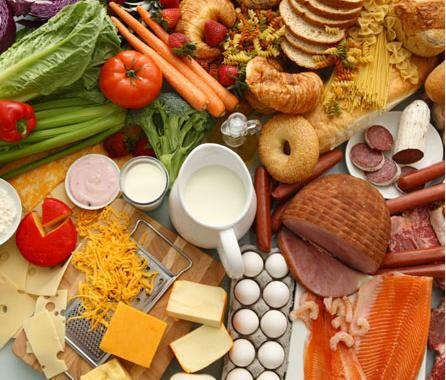 Phase I involves a 21 Day Elimination Diet to eliminate potential food triggers or allergens. Phase II of the G.I. FIX system includes the implementation of nutritional support used in conjunction with the 21 Day Elimination Diet, to promote digestive function by balancing gut flora and decreasing inflammation in order to heal the gut and improve overall G.I., immune, and neurological function. Those with Celiac Disease will find the G.I. FIX program ideal in healing the damage caused by gluten. While removing the gluten is the first step in putting out the fire caused by years of undiagnosed Celiac Disease, several studies now show that simply going gluten-free is NOT always effective in treating the inflammation and actually healing the damaged GI system. Because so little emphasis is placed on the process of actually healing the gut after being diagnosed with Celiac Disease (or even a gluten sensitivity), most will find that their chronic health conditions fail to fully improve after transitioning to a gluten-free diet. For more on Celiac Research, click here. This is considered to be the most important and is the first step of the WellCOR 5 and is the key to any effective diet, detoxification, or disease prevention/treatment program. This phase involves the removal of harmful chemicals, pesticides, food additives and many common allergy/sensitivity producing foods, (such as dairy, gluten, eggs, and soy). This short-term Elimination Diet can also be used in conjunction with a Food Allergy Test to efficiently rule out other specific food irritants. To gain optimal benefits from the G.I. FIX program, it is recommend to use them in conjunction with this 21 Day Comprehensive Elimination Diet as recommended by The Institute for Functional Medicine. For more information on this step, please click here to access information on Phase I- The 21 Day Comprehensive Elimination Diet. For those suspecting a potential gluten sensitivity, it is recommended to first take the Gluten Sensitivity Self Test prior to removing gluten. If a gluten-sensitivity is suspected, please Contact Us to see about laboratory testing options. *Please note: When there is a potential for underlying Celiac Disease, reintroducing gluten at the end of the Elimination Diet can potentially trigger other Autoimmune diseases. Therefor it is highly recommended to consider laboratory testing options prior to moving forward with the elimination and reintroduction of gluten as gluten must be present in the diet for laboratory testing to be accurate. The second step in the G.I. FIX program involves replacing digestive enzymes required for proper digestion of food. Symptoms of chronic bloating, gas or reflux after eating are often the result as a lack of the digestive enzymes required to break down and digest food. When these enzymes aren’t present, the digestive system cannot properly digest food resulting in unpleasant symptoms and possible future health conditions. The most effective means for testing one's own level of digestive enzymes would be through a Comprehensive Stool Analysis. Step 3 in the program involves reinoculating or bringing back the good or “friendly” bacteria in the gut. This can be done through the use of well researched and medically documented probiotics. When used properly in the right amounts, probiotics can improve intestinal immunity, restore healthy gut flora, intestinal barrier function, and essentially improve the function of the entire body. G.I. FIX includes the clinical-grade multi-strain probiotic support required to restore the guts supply of friendly bacteria. Steps 4 and 5 of the G.I. FIX program focuses on promoting the repair of the intestinal lining. GI mucosal cell regeneration is a natural process that can be very effectively supported through quality targeted nutrition. COR Completeprovides the support required for repair of the mucosal lining.